Nigeria Is Broke And It’s Wonderful! – Ben Bruce - BlogIT with OLIVIA!!! 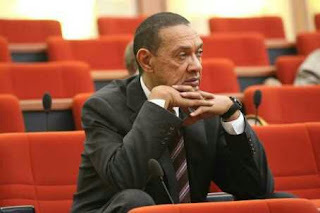 The common-sense advocate and representative of Bayelsa East Senatorial District in the Upper Chamber, Ben Murray-Bruce has said that it was “wonderful” Nigeria is broke.He made this assertion at the Senate plenary while contributing to a debate on a Bill for an “Act to Amend the Public Procurement Act to provide for and to adopt a local content policy and timely completion of procurement processes”. According to Ben, the penniless situation the country is currently experiencing would make Nigerians creative and productive.“Nigeria is broke and it is wonderful. We would start to think, and buy Nigerian products. We are a brilliant people. If the leadership of Nigeria start thinking Nigeria,Nigeria will be a great country,” he stated.Bruce said some Nigerians were of the view that locally-manufactured products were inferior, hence their preference for foreign ones. 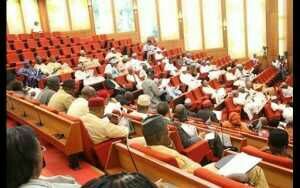 But he argued that when Nigerians resolve to pay the right price for local products, their quality would improve in the long run.Earlier, Sam Egwu, a senator from Ebonyi north and a sponsor of the bill, urged the senate to pass the bill arguing that it wouldboost the local economy.Also, Eyinnaya Abaribe, who represents Abia south at the Upper legislative chamber, explained that when passed, the bill would make it mandatory for the government to buy local products.After the Lawmakers unanimously supported the Bill, Senate President, Bukola Saraki, thereafter, referred it to the committee on public procurement for more legislative treatment.